By purchasing the services of Write Divas LLC (Write Divas), the Client (Author) accepts and acknowledges the terms and agreements in this Service Agreement. Confidentiality is of the utmost importance. Our Confidentiality and Nondisclosure Agreement can be found HERE. ​The copyright, together with all publishing rights to any Manuscript submitted, shall remain the property of the Author. Write Divas acquires no rights of ownership to the work hired to perform (editing or another services) under this agreement. Author will deliver the Manuscript in either Word.doc or Word.docx format via email to Submissions@WriteDivas.com. Please refer to our Submissions Guidelines. Editing will then be completed via MS Word Track Changes and using The Chicago Manual of Style, and Webster's Third New International Dictionary, Unabridged. Write Divas will issue invoices via PayPal. All fees will be invoiced in one payment unless other arrangements are agreed upon in advance. 100% payment in full is expected before the edit will begin. All payments made by the Author are nonrefundable without special circumstances agreed upon by the Author and Editor prior to the start of the editing process. A minimum cancellation fee of $100 will be retained. Once the editing process had begun, all monies are nonrefundable. If a refund is necessary, please allow 30 (thirty) days for a refund to be issued. Write Divas is committed to providing affordable, high-quality editing services. While no one can guarantee an error-free Manuscript, we can guarantee a Manuscript that is polished with few grammatical errors. ​If for any reason the Author is not satisfied with the work done by Write Divas, the Author agrees, before seeking reimbursement, to contact Write Divas by email at CustomerService@WriteDivas.com with the reasons for the dissatisfaction within fourteen (14) calendar days of receiving the work. Write Divas and the Author agree to make reasonable efforts to reach a satisfactory resolution through a re-edit or reassessment of the original work submitted by the Author. 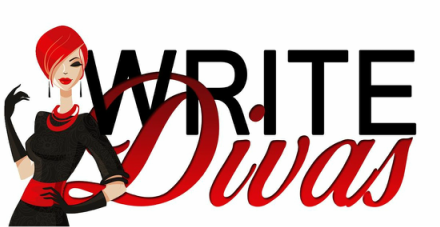 The only responsibility of Write Divas is to provide editing services and suggestions for improvement of the Manuscript for the Author. The Author agrees to indemnify both Write Divas LLC and its owners from any and all claims, including legal fees arising from any alleged defamation or copyright infringement committed by the Author in creating the Manuscript. Write Divas provides editing, proofreading, critique and other document preparation services. As such, Write Divas does not presume or promise any particular expertise in the subject of the document the customer submits to Write Divas for any of these services. Write Divas' proposed revisions to the Author's document are to be considered as a recommendation only. ﻿Write Divas or Author has the authority to terminate the Agreement at any time by giving the other party a minimum of seven (7) days written notice via email to CustomerService@WriteDivas.com. Author agrees to acknowledge the editing services provided by Write Divas LLC in ebook and/or printed published work on the copyright page, and on all publishing platforms such as Amazon, Barnes & Noble, iBook, etc. listing Write Divas and the first and last name of the Editor. The listing on the copyright page will contain the name Write Divas and the website: www.WriteDivasEditing.com (hyperlinked, if possible). ​Write Divas also requests a signed print copy and ebook copy of any published work edited by Write Divas. Shipping address available via email or private message. A signed contract for each manuscript is available upon request. Otherwise, emails detailing services, along with this Service Agreement, will be considered signed and binding.